**** Chosen by Winner: James B. 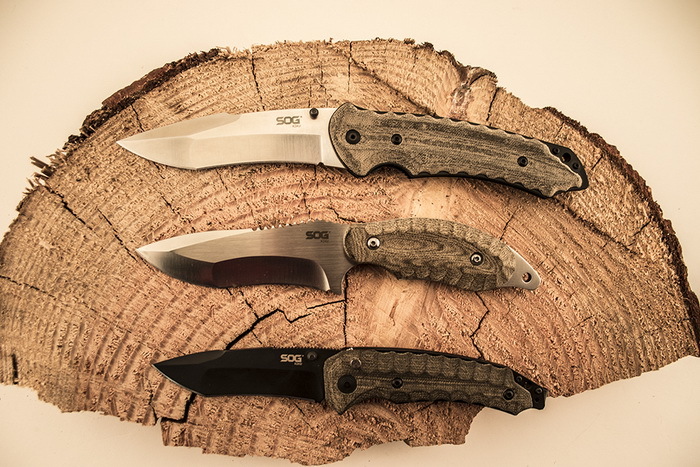 Our friends at SOG Specialty Knives & Tools have assembled a set of 3 of their striking collaboration knives with noted designer Kiku Matsuda of Japan. 3) SOG Kiku - Satin Large Folding Knife KU-1011 ($147) - 4.6-inch AUS-6 satin finish blade, linerlock, linen Micarta handle.